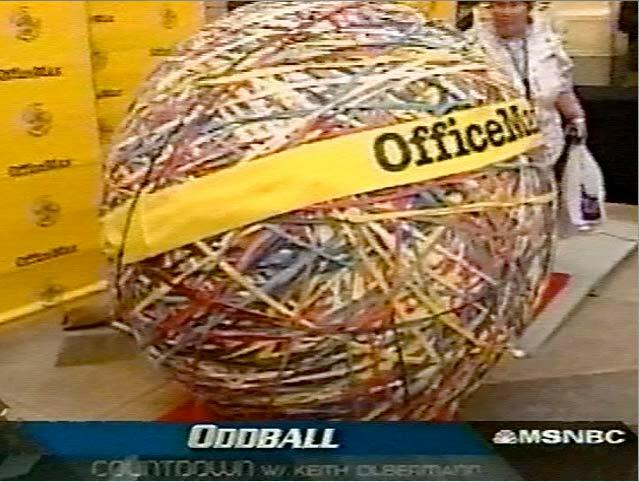 "Without question, Maccabee's World's Largest Rubber Band Ball unveiling was the single most successful event in OfficeMax history," says William Bonner, former Senior Director of External Relations for OfficeMax. "The hundreds of TV, print and online media stories exceeded our strategic objectives for brand differentiation, and our 35,000 employees were ecstatic about the media attention. Talk about PR 'bounce' from a flawlessly-executed event!" What could a national retailer like OfficeMax do when the company, faced with challenges from larger competitors such as Office Depot and Staples, needed to boldly communicate a revitalized brand that would drive consumers into its stores? 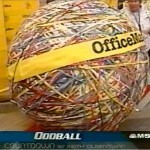 The answer: Hire Maccabee to unveil the World’s Largest Rubber Band Ball! 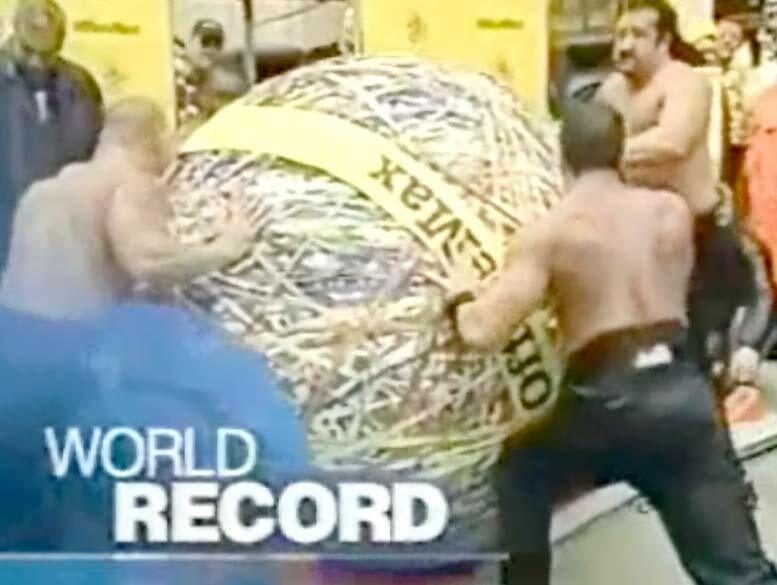 The 4,590-pound, 175,000-rubber band sphere smashed the Guinness World Record and brought OfficeMax’s corporate logo to life for millions of consumers. 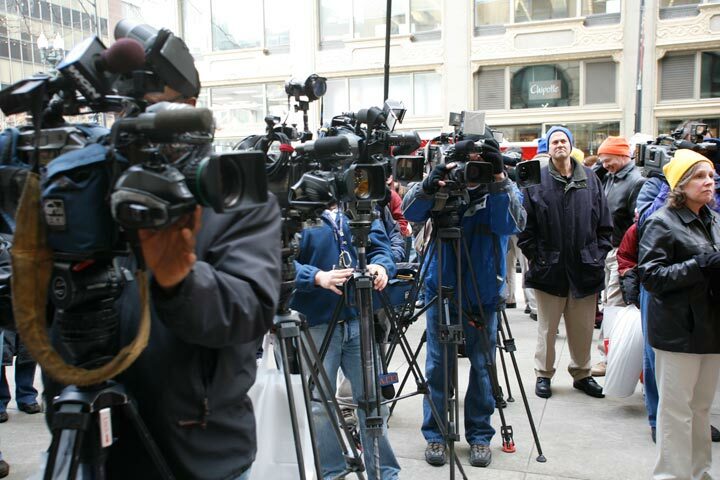 Maccabee’s “Rubber Band Ball” event in Chicago generated 422 TV segments airing in 127 markets to reach 27 million consumers. 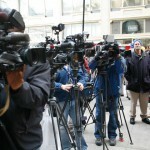 OfficeMax enjoyed news stories on all five Chicago TV stations, along with ABC-TV’s “World News Now,” “Anderson Cooper 360” and in hundreds of newspapers and magazines. Viral buzz about OfficeMax exploded on more than 220 websites and blogs, with 365,000 downloads of a Yahoo.com video. The campaign was a collaboration between Maccabee, experiential marketers Innova and OfficeMax. It was honored with top awards from the Retail Advertising and Marketing Association, Association of Marketing and Communication Professionals and the Chicago Publicity Club. Best of all, it sent customers running into 900 OfficeMax stores and OfficeMax enjoyed its highest fourth-quarter sales in years!